Established in 1989, Techline Design is a recognised industry leader for professional design and development services. We specialise in plastic component design and commercialisation. With over 25 years experience in innovation and development for a variety of multinational corporations, senior partner Phillip Higgins offers his expertise as an industry resource specialising in closure design and innovation. Director Phillip Higgins has held senior positions in product development, innovation and design for some of Australia’s best-known companies, including Amcor, Kambrook, James Hardie Electrical and VIP Packaging. To put our expertise to work for you, contact us today. 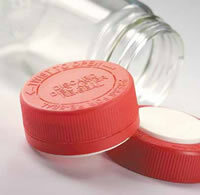 We aim to be the preferred partner for existing and prospective customers, for the design, development and manufacture of high volume closures, lids and plastic components.